Honolulu International welcomed its first regularly schedule jumbo jet flight on March 3, 1970, with a dedication program for the new Diamond Head Gull Wing Terminal, one of the world’s first airport facilities specially designed to handle the Boeing 747. There had been rapid growth of passenger traffic, especially overseas traffic, and strenuous efforts were made to prepare for the long-range implications of the settlement of the trans-Pacific route case and the advent of jumbo jet service in the Pacific. On July 1, 1969, five airlines were awarded new routes to Hawaii, and Northwest Airlines, Pan American World Airways and United Airlines were awarded additional routes. The new carriers, as announced by the White House, were American Airlines, Braniff, Continental, Trans World Airlines and Western Airlines. With the exception of TWA, the new carriers were also awarded routes into Hilo. Pan American initiated 747 service into Honolulu on March 3, 1970 with one daily 747 flight, and within a month expanded the schedule to two. The 747, capable of carrying from 397 to 490 passengers, placed increased demands upon all phases of terminal facilities. The decisions of President Richard M. Nixon and the Civil Aeronautics Board meant the advent of new non-stop service from Honolulu to the Midwest and East Coast points, as well as to Anchorage, Alaska. Interisland traffic received a great boost from the CAB requirement that each new carrier sign common fare agreements with Hawaiian and Aloha airlines. These agreements were under terms more favorable to the local carriers than the agreements with Northwest, Pan American and United. The 747 facilities, which were rushed to completion in preparation for the Pan Am inaugural flight, included two gates with two holding rooms, loading bridges and fueling facilities in the new Diamond Head Gull Wing extension of John Rodgers Terminal. The Ewa Gull Wing extension was completed in July 1970. 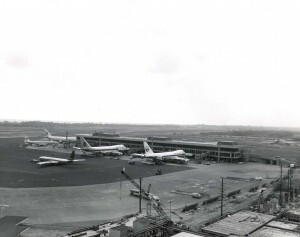 The Interisland Terminal was modified, enlarged and partially air-conditioned in November 1969. 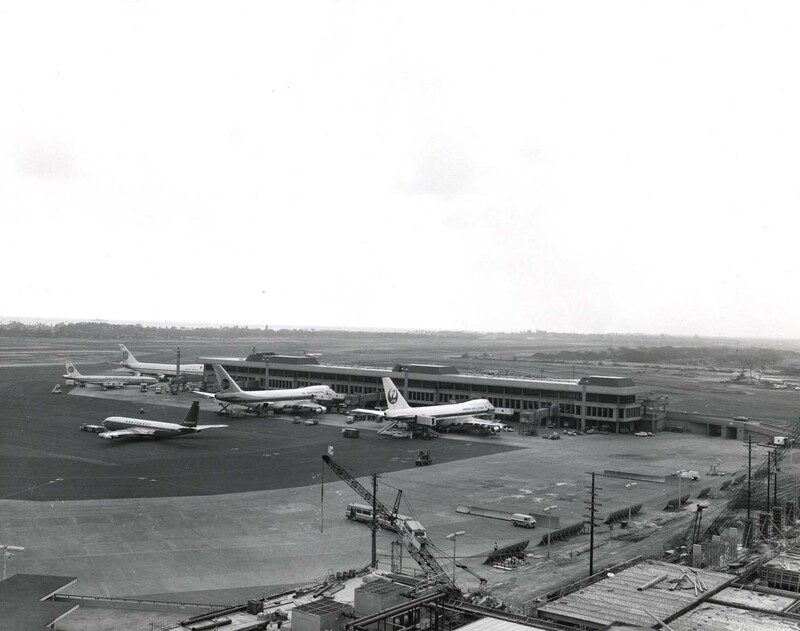 Expansion of the Domestic Arrivals was completed in December 1969, as well as additional area allocated for the interim International Arrivals Terminal. More than 60,000 square feet of new office space was added to terminal facilities in August 1969. A 2,000-car, five-story parking structure was completed in February 1970. The inauguration of the use of bus trains was another move to cope with transportation within the airport itself. Each of these three-unit vehicles carried more than 120 persons. To improve air traffic flow and lessen aircraft noise, Runway 4R-22L was rebuilt and lengthened to 9,000 feet. This runway’s normal tradewind approach was completely over water and equipped with a Visual Approach Slope Indication (VASI) to assist in the safe landing of aircraft. It is anticipated that the FAA would install an electronic instrument landing system when funds were available. 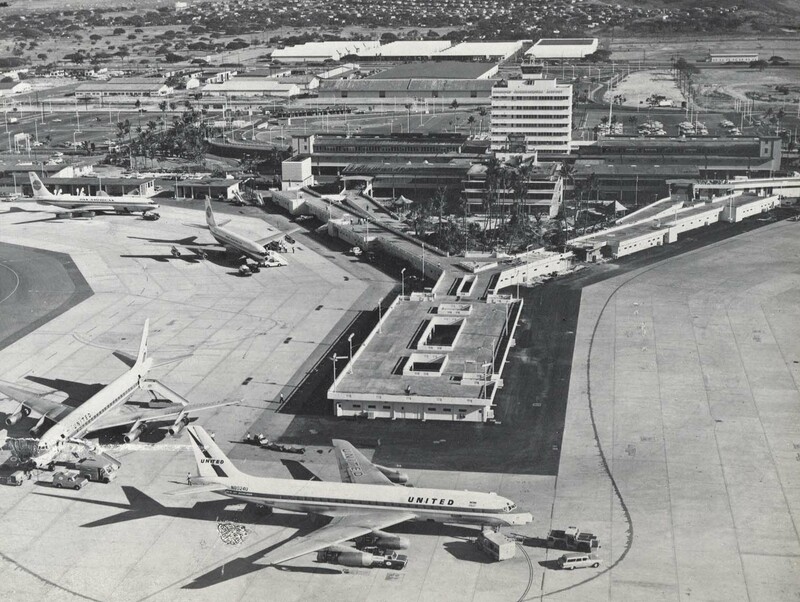 In 1970, the Honolulu International Airport construction program proceeded on schedule toward fulfillment of the Master Plan, which included a 12,000-foot Reef Runway, a new International Arrivals Terminal, relocation of the Interisland Terminal and additional Boeing 747 gates. The most massive single project on the program was the Reef Runway, estimated to cost about $35 million, half of which came from the Federal Government under the 1970 Airport and Airway Development Act. 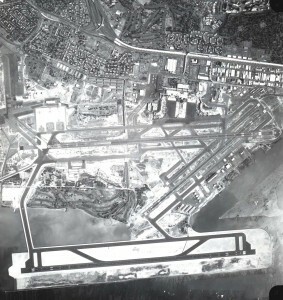 The Navy was expected to transfer additional land to the State for the runway, which was set for 1974 completion. Model studies indicated that the runway would improve the circulation of Keehi Lagoon waters, as well as reduce the noise of flights over Honolulu and improve operational efficiency at the airport. 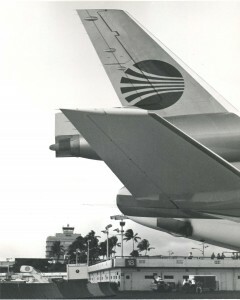 A third Boeing 747 gate and holding room were completed for the Ewa Gull Wing Extension on July 7, 1970, bringing to a total of five the number of 747 gates in service at the Ewa and Diamond Head Gull Wings. Master planners foresaw as many as 13 747 gates in operation by 1985. The initial installation of a precedent-setting Flight Information Display System became operational in May 1971. Although many airports had arrival and departure display systems, they were controlled by the various airlines, and a passenger information management system through a centralized facility had never before been tried in a major airport. The first elements, including information displays for Aloha and Hawaiian airlines, were functioning satisfactorily and the rest of the system became operational in September 1971. The FAA began to implement the Airport and Airways Development Act of 1970 under a plan entitled The Airport Certification Program. Under this program, every airport serving air carriers certified by the CAB was required to maintain certificates from the FAA to remain in operation. The program imposed a new system of inspections, record-keeping and reporting on airports and required additional funds and personnel to meet its stringent requirements. The FAA also published a Note of Proposed Rule Making on Aviation Security and began to implement an airport security system. This new program meant new obligations for the airport and required future equipment expenditures and personnel increases. One of the most unusual ceremonies held at the airport during the year was the November 12, 1970 dedication of the animal shelter completed as part of ground floor tenant improvements at Gates 25 and 26 on the mauka end of the Ewa Gull Wing. The Animalport was a joint effort of the Hawaiian Humane Society, the State of Hawaii and the trans-Pacific airlines. It was one of five such shelters in the world which provide care of animals and birds while in air transit. However, it was the only one not operating on a private fee-for-service basis to the animal owner. At Honolulu, each airline paid a fee to the Animalport for each bird or animal given temporary shelter and care. 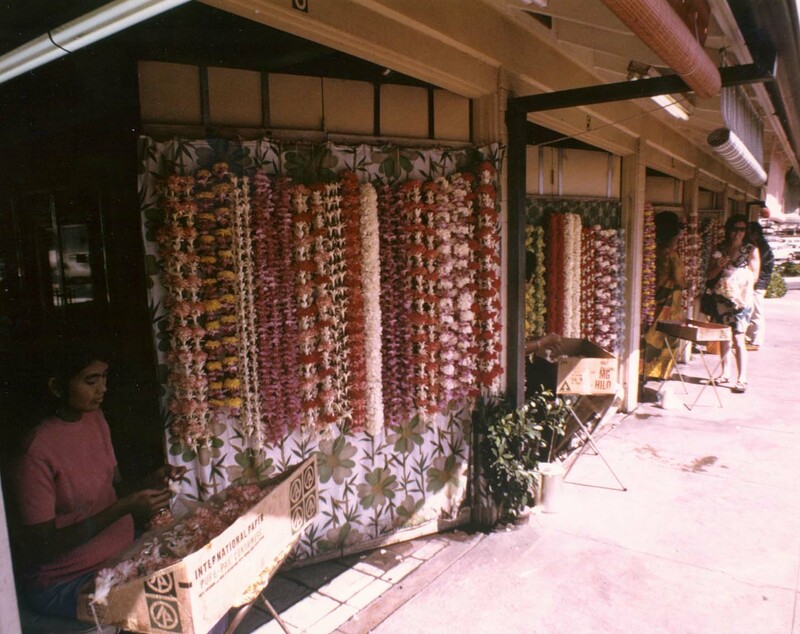 With the untying of a maile lei, the $12.5 million Ewa Extension of the John Rodgers Terminal at Honolulu International Airport officially began its life of service to overseas travelers on May 16, 1972. Among those attending the dedication was the family of Byron J. Connell, who piloted the first plane crossing from the North American continent to Hawaii with Navy Commander John Rodgers in the PN-9 in 1925. Although the plane ran out of fuel and finished the crossing under sail, the exploit so stirred Hawaii’s public that contributions came pouring in to a fund to establish Hawaii’s first commercial airport. John Rodgers Airport was dedicated in 1927. Connell, a Windward Oahu resident, died January 10, 1972. The expansion of John Rodgers Terminal provided another 360,000 square feet of area to serve passengers arriving from, or departing for, other American cities or leaving for foreign destinations. On the ground level were five 30-foot carousels for domestic baggage and inter-line and ground transportation services. On the second level, eight overseas scheduled carriers had service counters for enplaning passengers. Facilities include nine baggage conveyor belts for passenger check-ins and ticket counters with back-up offices for the airlines. New waiting rooms and concession areas were also on the second level which connects directly with the original waiting lobby in the John Rodgers Terminal via a spacious walkway overlooking the airfield. On the third level were the mini-bus turn-around and transfer stations. Enplaning passengers boarded the mini-bus at the transfer station over the terminal, rode on a ramp down to the second level and disembarked opposite the Gull Wing Terminal holding rooms to board their aircraft. 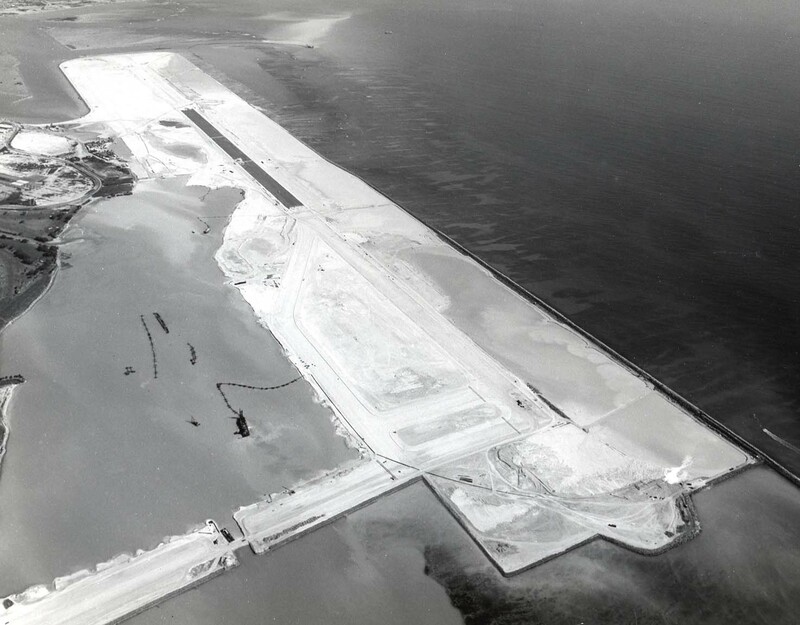 Construction of the first phase of the long-awaited Reef Runway was scheduled to begin in September 1972. The first increment, scheduled for completion in mid-1974, was expected to resolve most of the air traffic noise and safety problems of current airport traffic by shifting all overseas commercial and military jet take-off operations more than a mile to seaward. The runway would also increase the airport’s capacity from 70 to 110 operations per hour. 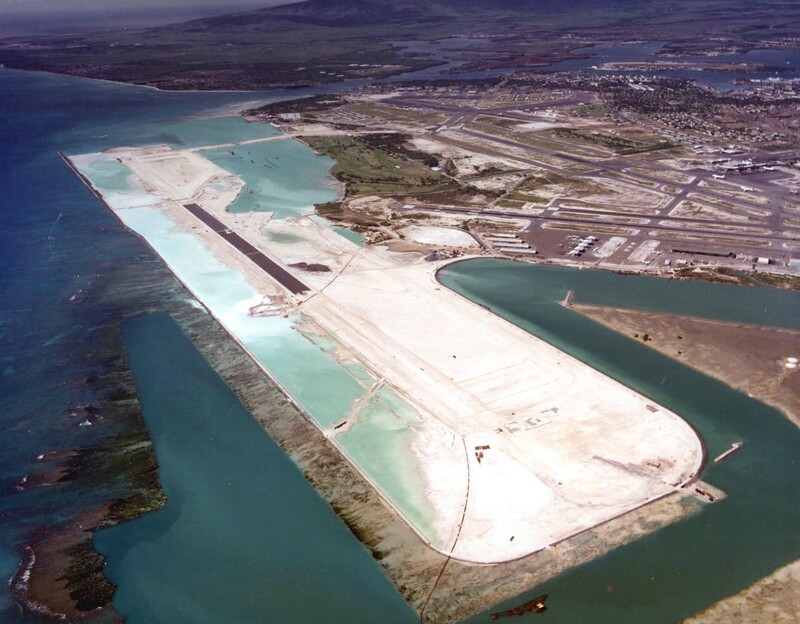 The Reef Runway was the nation’s first major new runway to receive funding approval from the FAA’s 1970 Airport Development Aid Program and qualified for the biggest single ADAP allocation so far approved–$14 million, or roughly half of the expected cost. To meet new FAA security requirements, Honolulu needed as much as 10 miles of 6.5 or 7-foot-high fencing along runways and between terminal facilities and access roads. Where aircraft parked overnight, the entire area required pervasive lighting. Unprecedented numbers of Japanese visitors arrived in December 1971 and April 1972. Nearly 23,000 arrived in December to begin holiday tours. A new traffic system was initiated to facilitate their movement through the International Arrivals Building to their waiting buses. During Golden Week in April, 8,000 Japanese visitors arrived. The new, three-level International Arrivals Terminal at Honolulu International Airport became operational on May 16, 1973—one year to the day that the first Ewa Extension of John Rodgers Terminal went into service. The dedication ceremonies were held May 14, 1973, two days before it was opened to the public, and drew a distinguished attendance of public officials and airline executives. The new structure provided, at no cost to the federal government, operational and office space for all U.S. border agency personnel and provided quarters for processing the entries of all passengers arriving from foreign nations. One of the last steps needed to clear the way for the advertisement for bids on the Reef Runway was taken on September 11, 1972 when the Navy formally deeded over to the State 527 acres of land, of which 344 acres were required for the runway. The action brought to 758 the total area of lands, both fast and submerged, turned over to the State by the military for the 1985 Master Plan. Earlier, the Air Force had deeded to the State about 135 acres, and the Army, 95 acres. The Navy portion consisted of one parcel of 173 acres on Keehi Lagoon at the southern edge of the airport; a 10-acre parcel at the Ewa end of the airport at the edge of Hickam AFB bordering Nimitz Highway, and 344 acres of submerged land in Keehi Lagoon that cuts across the Ewa end of the old seaplane runways. Only right-of-entry was obtained by the State on certain lands needed for the runway, and a formal deed was expected during FY 1974. These additional lands totaled 4,586 acres. Although the Reef Runway was designed to improve the environment as well as provide for traffic gains into the 1990s, it was opposed by some groups on environmental grounds, including its possible effects on bird life and fishing grounds. The project’s effectiveness in reducing noise was also questioned. The bid opening was originally set for November 9, 1972. On November 8, Federal Judge Martin Pence signed a temporary restraining order which forbade the DOT to open the bids. The restraining order was granted on a complaint filed on behalf of four groups and four individuals. The groups were Life of the Land, the Hawaii Audubon Society, the Sierra Club and Friends of the Earth. The four individuals were men who lived and worked in the area which would be affected by the Reef Runway. The order remained in effect until after hearings before Federal Judge Samuel P. King were completed, and his decision announced. On December 22, 1972, Judge King ruled that the environmental impact statement on the proposed Reef Runway was adequate and that construction could begin. Bids received up to November 9 were opened on December 28, 1972. The low bid was higher than expected, and the problem of choosing the best plan and finding ways to pay for it caused further delays. The contract was not awarded until February 28, 1973. The Reef Runway job was the biggest contract ever awarded by the State of Hawaii. The basic figure was $46,374,039, but $3 million or so was added when the State exercised an option to have the contractor dredge an additional 1.8 million cubic yards of fill. The $46 million and $49 million figures represented downward negotiation of the original bid of $52 million for a full design suitable to the Air Force as well as the airlines and the FAA. That configuration included a taxiway paralleling the full length of the 12,500-foot runway, plus a series of other support taxiways, high-speed turnoffs and shoulders extending 1,000 feet each side of the runway centerline. The contractor was able to reduce its bid price largely because the State agreed to stretch the construction period from 19 months to 26 months. The DOT had legislative authority to finance the difference between the Federal contribution and the contract price through reimbursable general obligation bonds, approved by the 1972 Legislature. The State hoped to raise money for the runway through this system without imposing any great increase in the airline landing fees and other charges which support the airport system. Total federal grants and allocations for the Reef Runway project rose to $24,022,139 during FY 1973. This sum included the $14,033,000 granted by the FAA in May 1972 for the runway itself, $7,033,150 allocated in the fall of 1972 for embankments and ancillary facilities, and an additional $2,955,989 granted in 1973 to cover increased costs and to construct a wildlife habitat in Pearl Harbor. 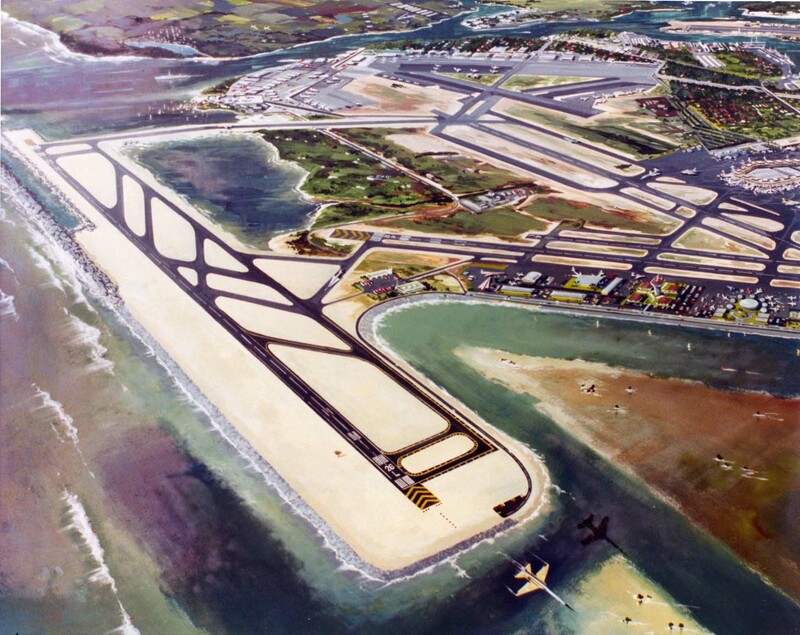 The contractor was ordered to begin work on the Reef Runway May 7, 1973. Soon draglines, clamshells and tractors had constructed dikes in the Hickam area to confine the coral and others materials to be dredged for the future land fill. By June 11, a small dredge was in operation and work had been progressing 24 hours a day. That night, work halted because of the expected issuance of a court injunction. On June 12, the 9th Circuit Court in San Francisco issued a temporary injunction in response to the appeal of the suit from the lower court. The injunction was expected to remain in effect at least until August 1973 when the 9th Circuit Court was scheduled to hear arguments as to whether the order should be made permanent. Defendants in the case were the U.S. DOT and the Hawaii DOT. 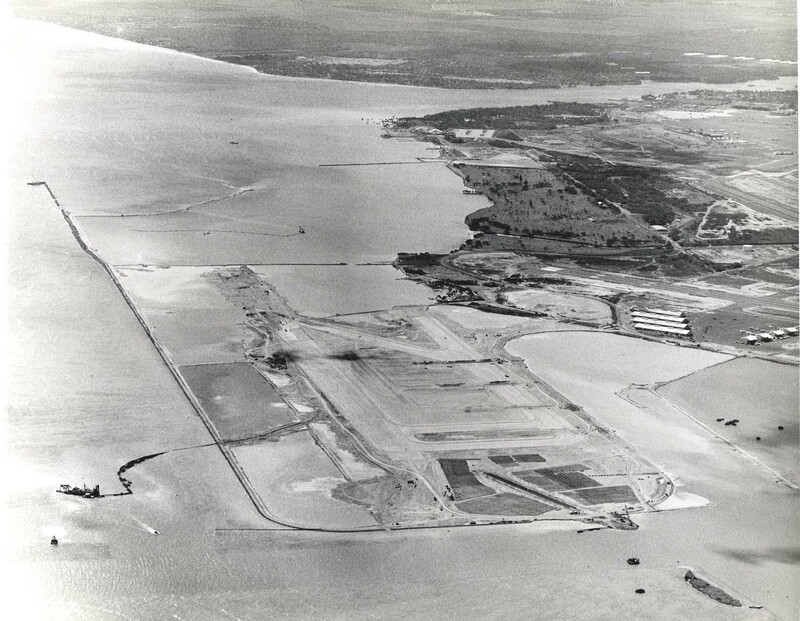 At the end of FY 1973, the Reef Runway project was idle, but work was progressing satisfactorily under a $350,881 contract to relocate bird habitats the runway would displace. In February 1973 the FAA instituted its new security program and imposed upon all airport operators serving certificated air carriers a requirement to provide law enforcement officers at each position where preboard screening of airline passengers was conducted. The airport was forced to employ off-duty police officers to meet the requirement. The arrangement proved to be prohibitively costly and specifications were drawn to replace them with contractual guard services. The airport certification program, also instituted by the FAA, became effective during the fiscal year. Honolulu International Airport was certified to meet the standards promulgated by Federal Aviation Regulations, Part 139. 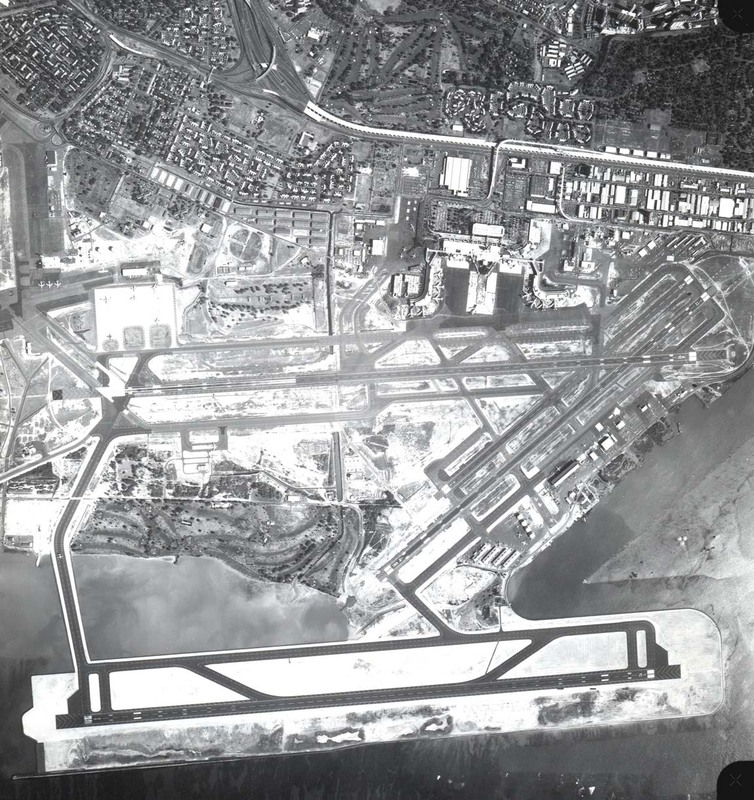 Work began on the Reef Runway on May 7, 1973, but appeals by environmental groups to the 9th Circuit Court of Appeals and the U.S. Supreme Court resulted in two separate injunctions and suspension of all off-shore work for a total of 112 days. The Supreme Court on April 22, 1974, let stand the lower court’s decision upholding the legality of the Environmental Impact Statement and permitted work to resume. A new Animal Quarantine Station was placed in operation at Honolulu International on June 1, 1974. The facilities were provided at no cost to the State Department of Agriculture, which provided the necessary personnel for staffing 24 hours per day. The new services eliminated the previous practice of airlines holding animals in their cargo terminal and facilitated the quarantine processing of animals and birds imported into Hawaii. On February 6, 1974 a contract was awarded to construct the Diamond Head Concourse Gates 7, 8 and 9, at a cost of $8,163,000. 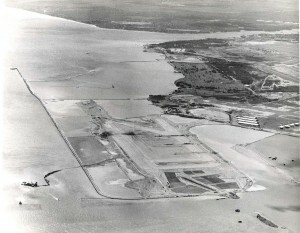 In 1976, the Reef Runway project was progressing with the construction of alternate wildlife habitats and the relocation of the Navy recreational facilities completed. Projects underway included dredging, offshore grading and drainage, and protective structures; paving, on-shore grading and drainage; relocation of the sewer line, construction of the Worchester Road underpass, and Building T-145. A contract was awarded to Ronald A. Darby and Associates to plan and design a noise monitoring system on and around the airport. The system consisted of 12 to 14 remote monitoring stations at the periphery of the airport supplemented by on-airport monitors. All monitoring stations reported their data to a central processing center that provided a visual display of results. The center recorded and stored the results so that location of noise sources exceeding the prescribed threshold could be played back and pinpointed in time and space to identify the specific aircraft source. A contract was let to EG and G Washington Analytical Services Center, Inc. of San Diego, California, to supply equipment for the noise monitoring system. Honolulu International Airport celebrated its golden anniversary with a ceremony that included several aviation pioneers. The original airport was dedicated as John Rodgers Airport on March 21, 1927. 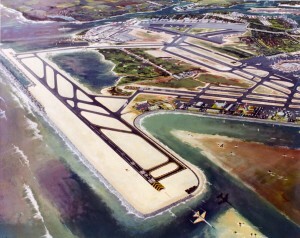 The Reef Runway, built to alleviate the aircraft noise patterns over Honolulu and surrounding areas, was completed in October 1977. It was constructed adjacent to the existing airport complex on a coral reef. The $89 million project was the world’s first major runway built entirely offshore. Great care was taken to minimize the environmental impact on surrounding areas, with the result that water quality was improved and provision made for the indigenous bird population of the region. The quality of water in the marine pond created by the runway was carefully considered by installing eleven 72-inch diameter culverts to allow for tidal circulation and mixing from the Manuwai Drainage Canal. At first the pilots didn’t like the new 12,001 foot runway. The FAA added instrument landing aids in mid-1979 and built a new Tower between the Reef Runway and Runway 8L-26R in 1984. This left a complaint that there was a long ground run from the terminal to point of takeoff, a common situation at many airports. The Aviation Environment Award, Federal Aviation Administration. This was only the second time that this award had been presented. The project engineer was the late Frank T. Okimoto, P.E., airports civil engineer from 1967 to 1978. Frank was truly a friend of the environmentalists giving his full support to the environmental surveys from conception to post-period construction. His insight, questions and exacting standards motivated the highest goals from everyone connected with the project. In respect and affection from co-workers the Reef Runway was called “Frank’s Runway”. 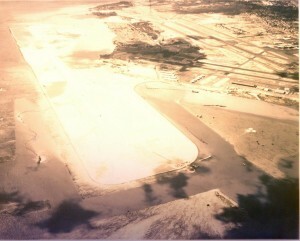 The Reef Runway was dedicated by the State, with both a military and a commercial aircraft taking off from the new facility. The Reef Runway, 8R/26L is located 6,700 feet south and parallel to Runway 8L/26R on a fringing coral reef. The Reef Runway structure is 16,100 feet by 2,050 feet with the runway proper 12,000 feet by 200 feet. More than 1,000 acres of new land was created by the dredging of more than 19 million cubic yards of material. All dredged fill was placed in 1 to 30 feet of water. The circulation channels were dredged to -45 feet. The project cost was $89 million. On October 24, 1978, the President of the United States approved the Deregulation Act of 1978, which became Public Law 95-504. This law was hailed as the most significant piece of aviation legislation since the passage of the Civil Aeronautics Act of 1938. Though the Act contained several provisions which were apparently intended to soften the impact on Hawaii, the Civil Aeronautics Board made radical changes in its policy and encouraged competition and lower air fares by all air carriers. At the end of the fiscal year, it was certain that at least a dozen new overseas carriers would be authorized to serve Hawaii from cities in the U.S. domestic air market. The FAA ordered the grounding of all DC-10s on June 6, 1979 until the cause of the May 25, 1979 crash of a DC-10 at Chicago could be determined. This effectively stopped all service by Continental and Western Airlines, which operated all DC-10 fleets with the exception of a few B-720s and one B-727. In addition, service by Philippine Airlines and Air New Zealand was disrupted by the grounding of their DC-10s. On March 31, 1979, members of the International Association of Machinists and Aerospace Workers struck United Airlines throughout its system. 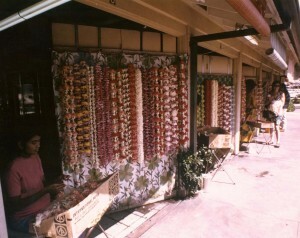 The strike continued through May 25, 1979 with a significant impact on travel to Hawaii. United carried about 50 percent of the West Coast to Hawaii passenger traffic and 90 percent from the East Coast to Hawaii passengers. Continued growth in international traffic created substantial pressure on border clearance facilities operated by federal agencies because of insufficient staffing. To facilitate processing, the Customs Service proposed several modifications to inspection procedures and arrangements of inspection counters through the Customs Accelerated Passenger Inspection System (CAPIS). Unlike previous improvements which were required to be made by the airport, CAPIS was proposed for installation at the expense of the federal government. The airport was required only to furnish additional luggage carts for passenger convenience. Gates 24 and 25 were dedicated in ceremonies on December 8, 1978 for the first of four new frontal gates close to the waiting lobby of the Overseas Terminal. Gates 12 and 13 were opened later to complete a $5 million contract. Construction in the overseas terminal area continued to expand and improve service for greater passenger activity. Construction started on the expansion of the Central Concourse to provide second-level access to aircraft similar to that provided in the Ewa and Diamond Head concourses. Loading bridges, concession facilities and air conditioned comfort were some of the features built in the $13.25 million contract for Gates 14 to 24 which were designed for wide body aircraft. The popular landscaped garden area was planned to be expanded and improved as part of a separate contract. In addition, restaurant facilities were planned for expansion by 20 feet on three sides of the existing building. Planning for a new Interisland Terminal Building was started on the existing site to house all interisland air carriers and commuter airlines. The Airports Division recommended the inclusion of commuters in the new terminal as activity in that sector of air transportation grew rapidly with the lessening of the regulatory control by the federal government. The terminal concept included three fingers for passenger safety and convenience with a new multi-story parking structure and two levels of roadway access similar to the Overseas Terminal. Work would also include new aircraft parking aprons and relocation of the existing maintenance facilities. Intra-airport roadways for the Wiki Wiki buses would be extended to provide convenient interlining connections for passengers between overseas and interisland flights. 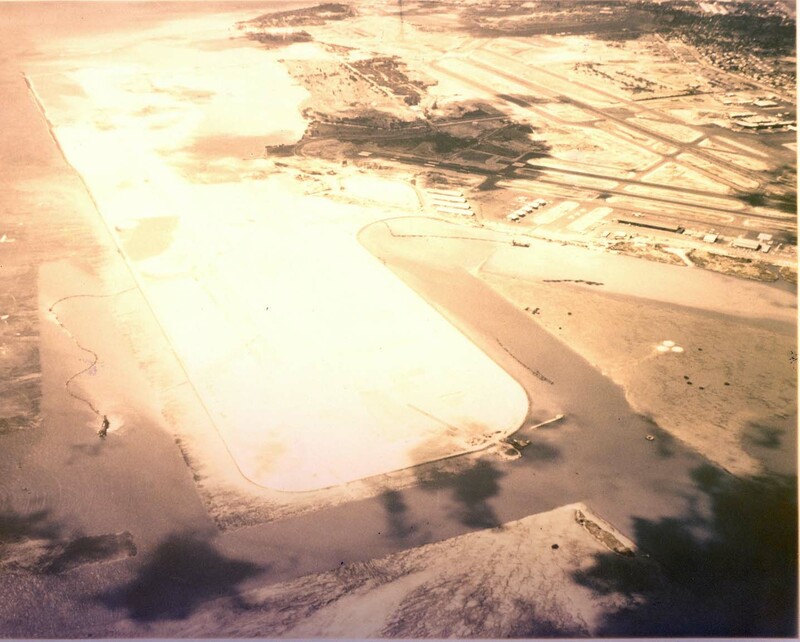 In August 1978, the airport was given an FAA award for environmental improvements resulting from the Reef Runway. Benefits to the areas of the city previously impacted by aircraft noise and to the ecology of Keehi Lagoon were cited in the award. The Reef Runway Post-Construction Environmental Impact Report was finalized. Work started on a $1,075,000 contract for the update of the Honolulu International Airport and Environs Master Plan. The project prepared airfield and passenger forecasts to the year 2000 and recommended development plans to meet the anticipated requirements. A study of aircraft noise impact on the surrounding community recommended appropriate land use polices for consideration by state and county planners in the development of zoning ordinances for these areas. The FAA Planning Grant Program financed 75 percent of the cost of the contract. Deregulation of air transportation provided a potential for new routing and additional carrier service to Hawaii. The Civil Aeronautic Board approved the request of 15 airlines to service the Mainland-Honolulu route. On July 4, 1979, American, Braniff, Continental, Delta, Eastern, Hawaiian, National, Ozark, PSA, Trans Carib Air, Trans International, Western and World received clearance, with World Air making an early move into the Hawaiian air market. The FAA was under contract to relocate their Honolulu Control Tower. Positioned between the Reef Runway and the Central Terminal Building, the new tower would assist the visual and instrument control of all types of aircraft. The tower will become operational after the improved Diamond Head radar tracking system EARTS (Enroute Automatic Radar Tracking System), has initiated its new service. This provided improved operations and added safety measures. The estimated cost was $5.5 million. Interisland carriers have participated in the economic growth of Hawaii. Fifty years of service was celebrated by Hawaiian Airlines on November 11, 1979. Aloha and Hawaiian airlines served domestic and connecting overseas passengers, and Air Hawaiian and Royal Hawaiian Air Service provided commuter service throughout the state. December 1979 was the beginning of the FAA’s plan to separate jet and light aircraft planes in the air and on the field. Following up on several requests from both private and state sectors, as well as the International Federation of Air Line Pilots Association, the FAA reported a decline in monthly incidents at Honolulu International Airport. The Professional Air Traffic Controllers Organization counted 25 incidents in October 1979 and only nine incidents in January of 1980. A “red star” rating from the designated Air Line Pilots Association indicated that group’s feeling that there was a threat of an air disaster due to the continued mixing of jets to prop driven plans at HNL. Threatening to issue a “black star” rating, the Pilots Association pushed for tighter control of light aircraft over Honolulu. The FAA’s plan of controlled traffic flow segregated incompatible aircraft. As a result the interisland carriers had longer taxiing periods at a cost of time and fuel. Air traffic noise was noted to be heavier in the Ewa area due to the FAA’s most recent runway segregation. Adjusting to the needs of the commercial and recreational air traffic in Hawaii was a constant concern. With the increased air traffic at HNL and the reported mix of jet aircraft and light prop planes, several studies in the past decade prompted the proposal of a reliever airport. Considered in the 10th Legislative Session was the selection for early construction of a reliever field in the Poamoho area near Wahiawa. The United Public Workers began a statewide strike on October 22, 1979. The airport was kept open throughout the strike. 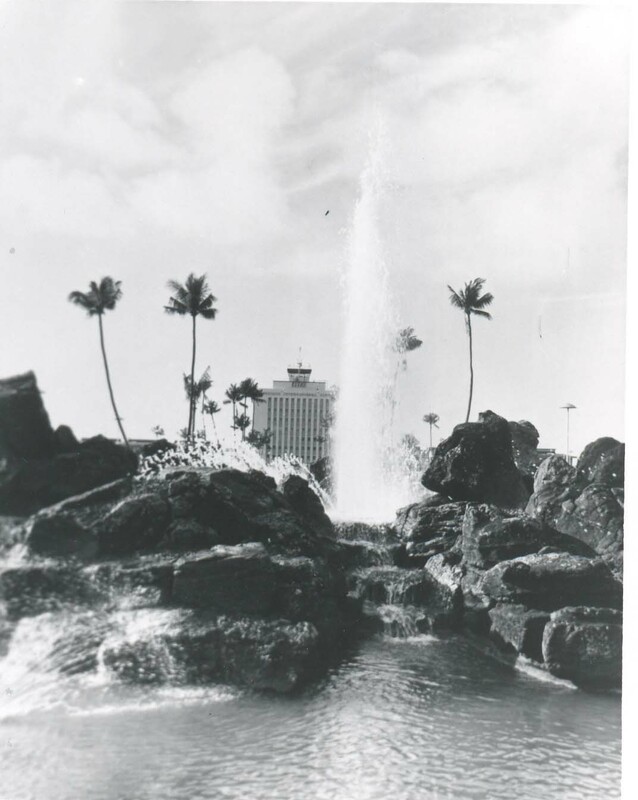 For more information about the history of Honolulu International Airport, click on the decade below.